This exciting adventure, new for 2019, delivers our team members to the most remote corners of Nepal’s Karnali province. Traveling by luxury 4x4 SUV we’ll visit beautiful villages, valleys, and vistas, most of which are not listed on maps and known only to our local experts. This is the Nepal no other foreigners get to discover. Starting in the low Terai region of Nepal near the Indian border, our team of travelers begin the adventure by delivering lifesaving drinking water solutions to villages in need. These cultural exchanges set the tone for a week of exploration as we push deep into the foothills of the worlds largest mountains, the Himalayas. This active adventure includes daily opportunities to hike, explore, and even raft on a wild Himalayan river. We’ll learn how to cook local foods, enjoy regional dances, and witness traditional ceremonies. Time stands still in rural Nepal, the villages we visit will seem untouched by the passing of centuries. Our serpentine route takes us beneath towering peaks, their snowcapped summits jutting 20,000 feet into the sky. Eventually we arrive in Pokhara, Nepal’s famous adventure city. If you still need more excitement, we can arrange for a sightseeing flight of the world’s tallest peak, Mount Everest at 29,029 feet. The final days of this one of a kind adventure are spent in Kathmandu. There we’ll explore the narrow streets of Nepal’s ancient city and revel in our good-deeds-done and memories made. Seats available for the trip: 9 people in three luxury 4x4 Mahindra Scorpio SUVs. Our carefully chosen routes are remote and rugged. Rental cars are few and far between in Nepal and heavily regulated. For that reason, we use a fleet of locally-owned Mahindra Scorpio SUVs. They’re comfortable, reliable, and give us a unique vantage point to explore the countryside. This is the only way we can get to our secret locations. Each of our vehicles is piloted by professional drivers ensuring the comfort and safety of our team members. Sit back, dial in local Nepalese music, and leave the driving to us. Don’t let the SUV fool you, this is an active adventure. We keep our time in the vehicle to a minimum and plan many opportunities each day to stretch our legs and explore. Unlike a traditional Nepalese trekking trip, the vehicle allows us to quickly change the view and transition through the many micro-climates in the country. We begin at near sea level and quickly ascend to heights of nearly 8,000 feet. The vehicle also allows us to reach otherwise impossible viewpoints with ease. You’ll want good walking shoes for this trip. There won’t be a dull moment. Visas to enter Nepal are acquired at the airport in Kathmandu on arrival and cost $25. 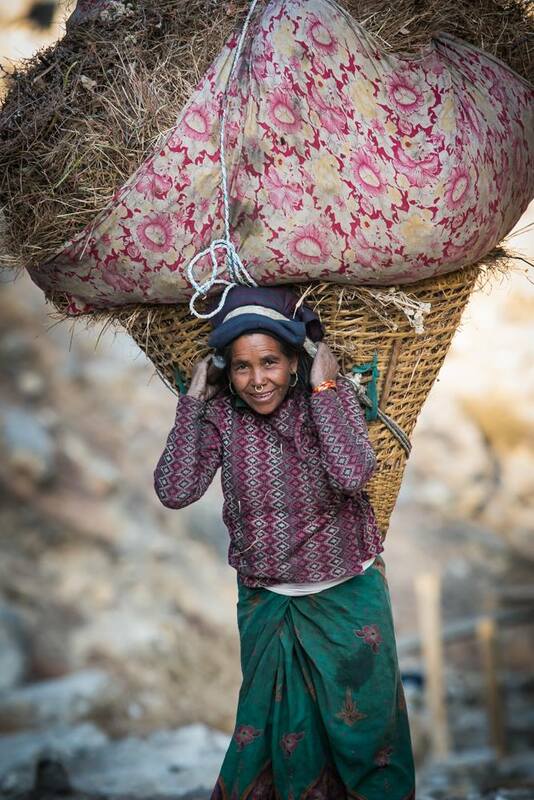 We can't help our friends in Nepal without the financial means to do so. Fundraising is a critical part of our program. Clean water solutions simply cost money. To help streamline our fundraising efforts, we have partnered with MSR Global Health. Our fundraising campaign is hosted on their website and makes for a fun and easy way to generate excitement and donations. We help every team member meet their target goal. Some may want to reach far beyond the $1000 target. A surprising number of our previous team members, new to fundraising, generated in excess of $3,000. It’s easier than it looks and every dollar raised helps people in need. Because we travel to remote locations far removed from normal tourist routes, our fares include expenses other operations don’t face. Each trip includes two domestic flights to the western portion of the country. Hotels are quite cheap in rural Nepal but simply do not exist along our chosen routes. For that reason, and to ensure your comfort and safety, we travel with an expert staff and cutting edge camping gear. Tent accommodations and preparing our own meals costs considerably more than hotel stays, but we feel it is necessary for your enjoyment.